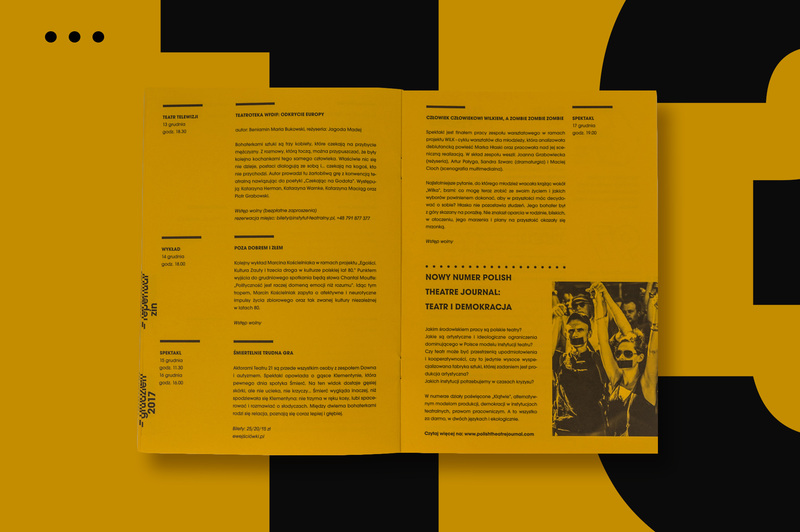 Theatre Institute is an important landmark on a cultural map of Poland – a singular, artistically radical place for great artists and underground initiatives alike. We’ve been commissioned to create layouts for a monthly events programme. 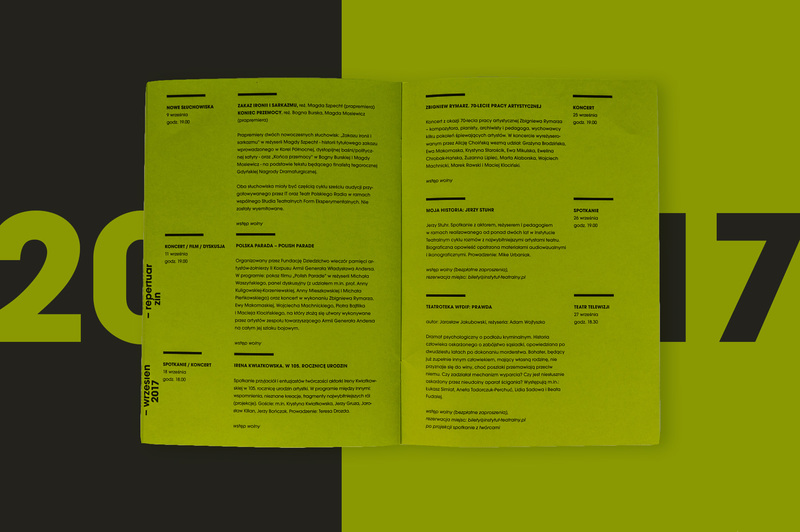 We suggested making it a zine – as this form best reflects the nature of the institution and events it organizes. Each issue is printed on color paper (theme colors vary from month to month) with black ink only. This makes the zine stand out in the market, and we are not held back by the need to adapt the concept to high-quality print materials. The programme includes a monthly calendar as well as more detailed descriptions of upcoming events and other relevant information.